Inferior MI accounts for 40-50% of all myocardial infarctions. Generally have a more favourable prognosis than anterior myocardial infarction (in-hospital mortality only 2-9%), however certain factors indicate a worse outcome. Up to 40% of patients with an inferior STEMI will have a concomitant right ventricular infarction. These patients may develop severe hypotension in response to nitrates and generally have a worse prognosis. Up to 20% of patients with inferior STEMI will develop significant bradycardia due to second- or third-degree AV block. These patients have an increased in-hospital mortality (>20%). Inferior STEMI may also be associated with posterior infarction, which confers a worse prognosis due to increased area of myocardium at risk. Which Artery is the Culprit? The vast majority (~80%) of inferior STEMIs are due to occlusion of the dominant right coronary artery (RCA). Less commonly (around 18% of the time), the culprit vessel is a dominant left circumflex artery (LCx). Occasionally, inferior STEMI may result from occlusion of a “type III” or “wraparound” left anterior descending artery (LAD). This produces the unusual pattern of concomitant inferior and anterior ST elevation. The RCA territory covers the medial part of the inferior wall, including the inferior septum. The LCx territory covers the lateral part of the inferior wall and the left posterobasal area. The injury current in RCA occlusion is directed inferiorly and rightward, producing ST elevation in lead III > lead II (as lead III is more rightward facing). The injury current in LCx occlusion is directed inferiorly and leftward, producing ST elevation in the lateral leads I and V5-6. These differences allow for electrocardiographic differentiation between RCA and LCx occlusion. Hyperacute (peaked) T waves in II, III and aVF with relative loss of R wave height. Early ST elevation and Q-wave formation in lead III. Reciprocal ST depression and T wave inversion in aVL. ST elevation in lead III > lead II suggests an RCA occlusion; the subtle ST elevation in V4R would be consistent with this. Note how the ST segment morphology in aVL is an exact mirror image of lead III. This reciprocal change occurs because these two leads are approximately opposite to one another (150 degrees apart). The concept of reciprocal change can be further highlighted by taking lead aVL and inverting it… see how the ST morphology now looks identical to lead III. ST elevation in II, III and aVF. Q-wave formation in III and aVF. 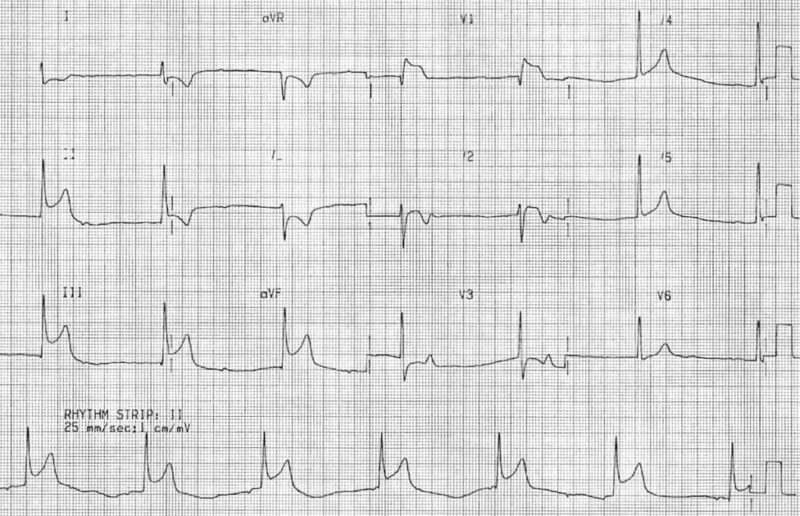 Marked ST elevation in II, III and aVF with early Q-wave formation. ST elevation in lead III > II with reciprocal change present in lead I and ST elevation in V1-2 suggests RCA occlusion with associated RV infarction: This patient should have right-sided leads to confirm this. 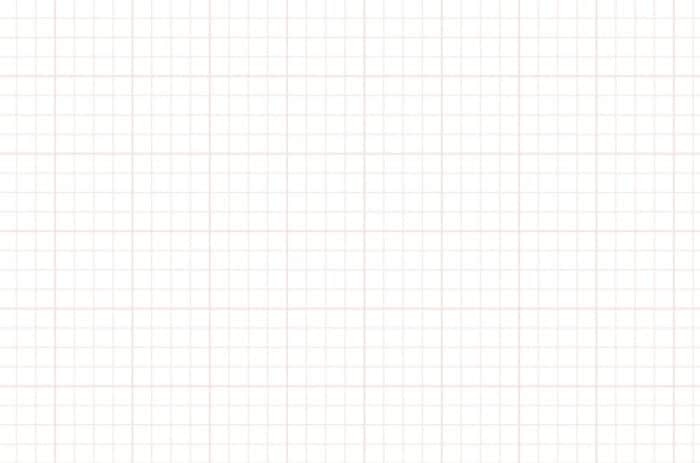 Hyperacute T waves in II, III and aVF. Early ST elevation and loss of R wave height in II, III and aVF. Reciprocal change in aVL and lead I. 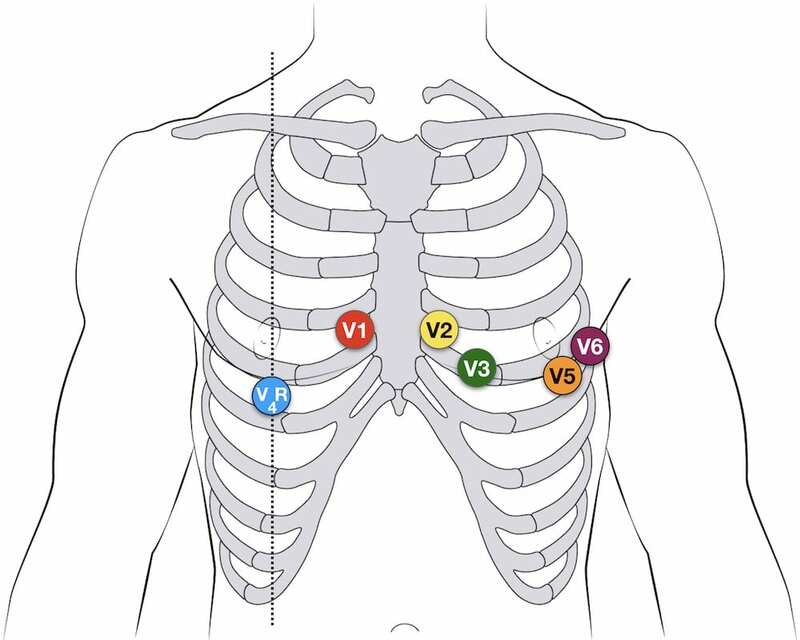 The concave ST elevation in II, III and aVF may be mistaken for pericarditis. However, the fact that the ST elevation is localised to the inferior leads with reciprocal changes in aVL confirms that this is an inferior STEMI. 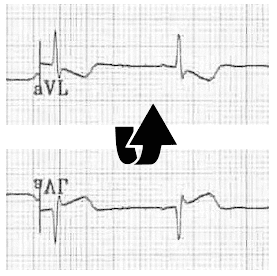 Marked ST elevation in II, III and aVF with a “tombstone” morphology. ST elevation is also present in the lateral leads V5-6, indicating an extensive infarct of the inferior and lateral walls. In patients with inferior STEMI, ST elevation of 2mm or more in leads V5 and V6 is predictive of extensive coronary artery disease and a large area of infarction. Well-formed Q waves in III and aVF suggest that this STEMI is not acute. The T waves in III and aVF are beginning to invert. There is still some residual ST elevation in the inferior (II, III, avF) and lateral (V5-6) leads. ST elevation may take 2 weeks to resolve after an acute inferior MI (even longer for an anterior STEMI). NB. 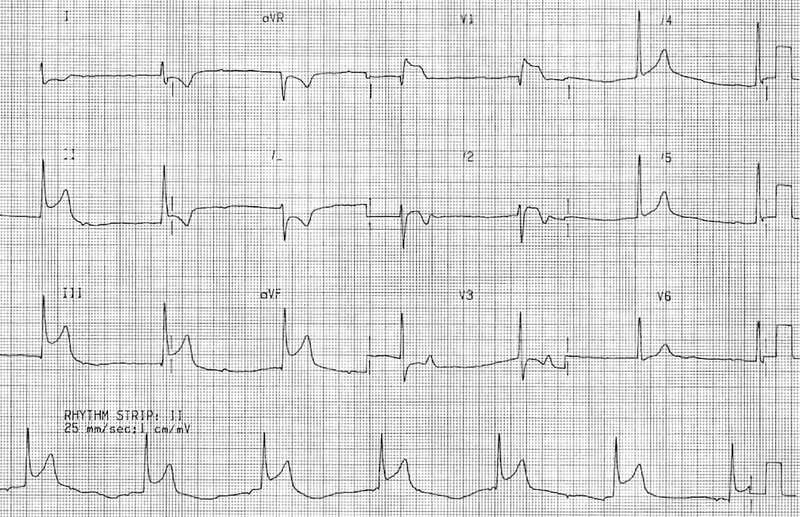 If this patient had ongoing chest pain you would still treat them as an acute STEMI! Ischaemia of the AV node due to impaired blood flow via the AV nodal artery. This artery arises from the RCA 80% of the time, hence its involvement in inferior STEMI due to RCA occlusion. Bezold-Jarisch reflex = increased vagal tone secondary to ischaemia. 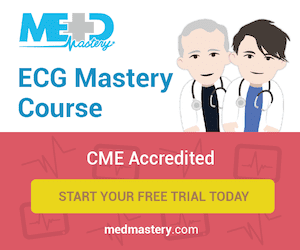 The conduction block may develop either as a step-wise progression from 1st degree heart block via Wenckebach to complete heart block (in 50% of cases) or as abrupt onset of second or third-degree heart block (in the remaining 50%). Patients may also manifest signs of sinus node dysfunction, such as sinus bradycardia, sinus pauses, sinoatrial exit block and sinus arrest. Similarly to AV node dysfunction, this may result from increased vagal tone or ischaemia of the SA node (the SA nodal artery is supplied by the RCA in 60% of people). Bradyarrhythmias and AV block in the context of inferior STEMI are usually transient (lasting hours to days), respond well to atropine and do not require permanent pacing. Inferior STEMI with third degree heart block and slow junctional escape rhythm. 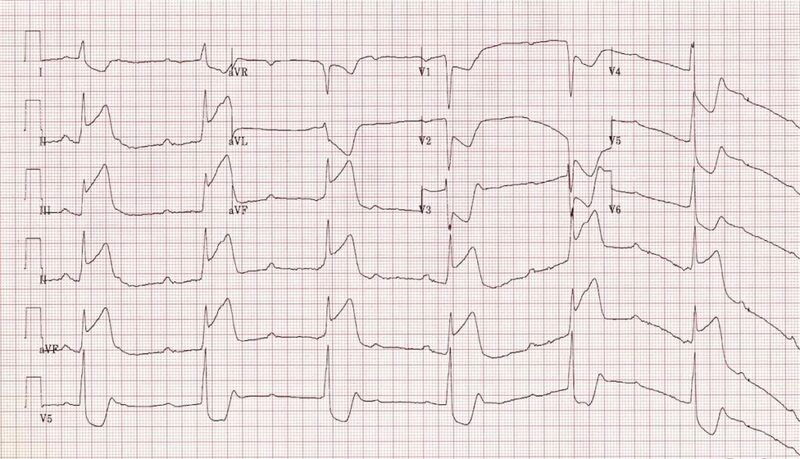 Inferior STEMI with sinus node dysfunction (either sinus arrest or extreme sinus bradycardia) and a slow junctional escape rhythm. Berger PB, Ryan TJ. Inferior myocardial infarction: High-risk subgroups. Circulation. 1990; 81(2): 401-11.